I know everyone in Minnesota is psyched up to host (and win?) Super Bowl LII. 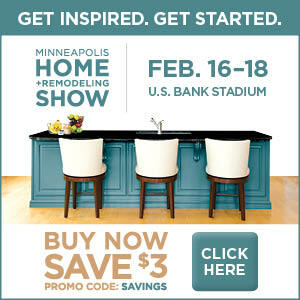 Well, US Bank Stadium will be hosting another event just two weekends later that is going to be equally massive, the 2018 Home & Remodeling Show!!! 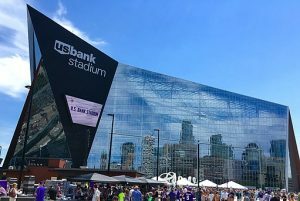 Alright, it doesn’t exactly have the clout of the big game, but it is still fantastic event full of contractors from Minneapolis, St. Paul, and beyond eager to assist you with your next home project. American Glass & Mirror will have a variety of frameless shower doors and mirrors on display at Booth 607. 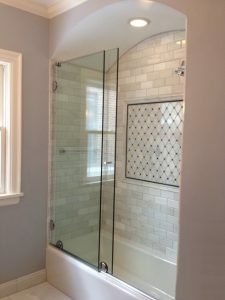 We’ll be there to offer expert advice on your new shower or bathroom remodel. We’d also be happy to chat with you about whatever else is on your mind: why your windows are fogged up, how to get those pesky water spots off your shower glass, or how wonderful/awful the new Vikings Stadium is, whatever! Come check out the latest models in sliding frameless shower doors and the newest hardware to hit the market. This is a dream event for those building a new home, homeowners getting ready to go ahead with a bathroom/kitchen/whatever remodel or those weekend warriors always on the look out for the next way to get their hands dirty. Sometimes it can be difficult to get a professional’s two cents without having to pay for it. At the Home & Remodeling Show the exhibitors are there to talk and meet potential customers. They’re happy to listen to your unique problems and offer practical solutions. Of course, there is also no better place to meet contractors face-to-face, see examples of their work, learn about the latest products and innovations, and find the right fit for your home project. If you’re reading this and thinking you need to be there, then don’t pay for price like some kind of sucker. Click on the image below and follow the link through to save $3 on tickets. We’ll see you at the show!